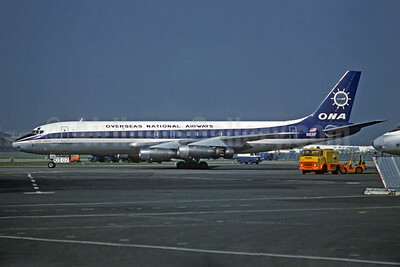 (OV) (New York-JFK) 1950 - 1963, 1965 - 1978. Photos. Framable Color Prints and Posters. Digital Sharp Images. Aviation Gifts. Slide Shows. 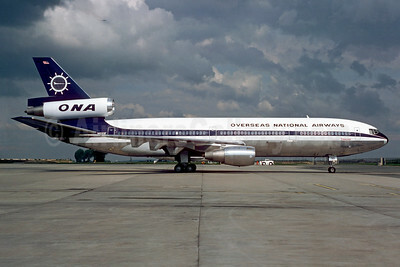 ONA's 1975 Bicentennial special livery, named "Independence"
ONA (Overseas National Airways-ONA 1st) McDonnell Douglas DC-8-32 N1776R (msn 45602) (USA 1976-1976) JFK (Harry Sievers - Fernandez Imaging Collection). Image: 938975. 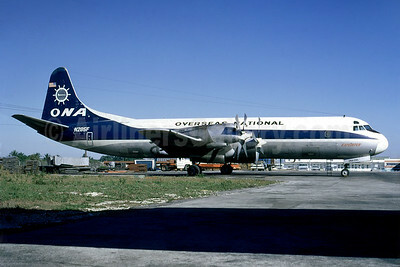 Overseas National Airways-ONA (1st) Lockheed 188A (F) Electra N282F (msn 1084) (Jacques Guillem Collection). Image: 931996. 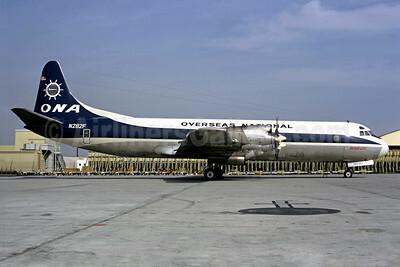 Overseas National Airways-ONA (1st) Lockheed 188A (F) Electra N285F (msn 1107) MIA (Fernandez Imaging Collection). Image: 930348. Overseas National Airways-ONA (1st) Lockheed 188C Electra N182H (msn 1133) MIA (Bruce Drum). Image: 103179. 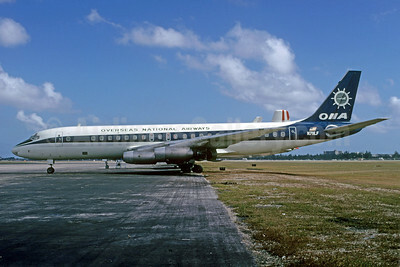 Overseas National Airways-ONA (1st) McDonnell Douglas DC-8-21 N819F (msn 45437) ILN (Jacques Guillem Collection). Image: 939413. 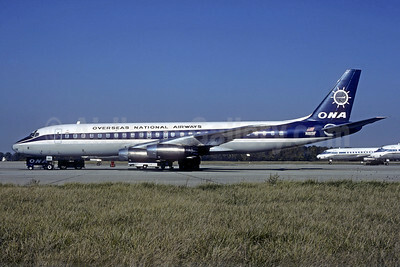 Overseas National Airways-ONA (1st) McDonnell Douglas DC-8-32 N831F (msn 45606) LBG (Christian Volpati Collection). Image: 931997. 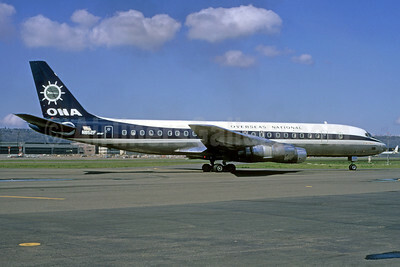 Overseas National Airways-ONA (1st) McDonnell Douglas DC-8-33 N711LF (msn 45260) MIA (Bruce Drum). Image: 103180. 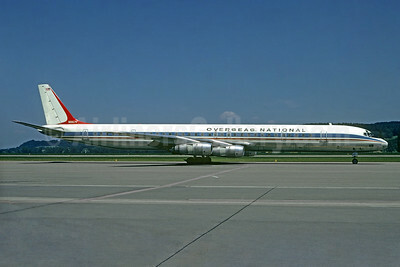 Overseas National Airways-ONA (1st) McDonnell Douglas DC-8-61CF N867F (msn 45939) (Korean Air colors) ZRH (Christian Volpati Collection). Image: 931995. 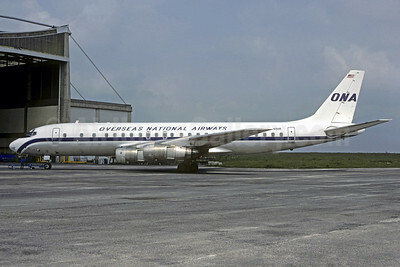 Overseas National Airways-ONA (1st) McDonnell Douglas DC-8-61CF N867F (msn 45939) LBG (Christian Volpati Collection). Image: 931994. 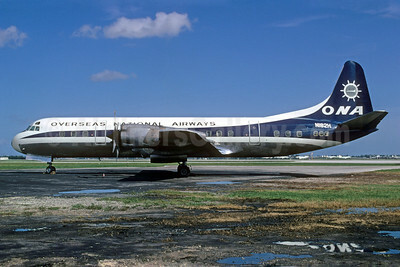 Overseas National Airways-ONA (1st) McDonnell Douglas DC-8-63CF N863F (msn 46001) (Christian Volpati Collection). Image: 931648. 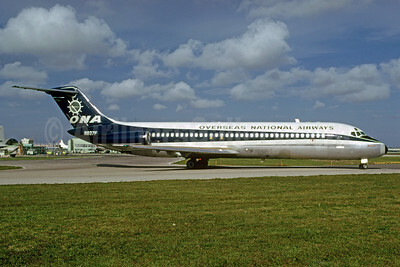 Overseas National Airways-ONA (1st) McDonnell Douglas DC-8-63CF N863F (msn 46001) (Stephen Tornblom Collection). Image: 921348. 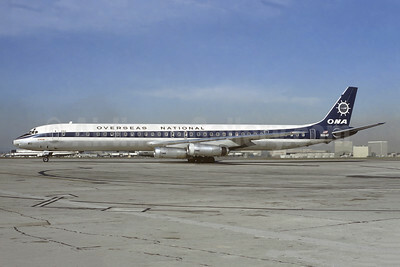 Overseas National Airways-ONA (1st) McDonnell Douglas DC-8-63CF N864F (msn 46087) LAX (Ted J. Gibson - Jacques Guillem Collection). Image: 945842. 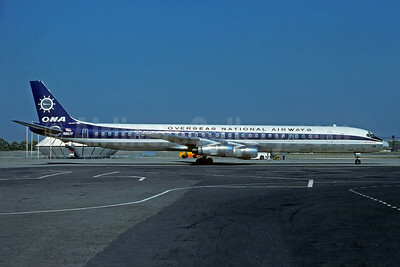 Airline Color Scheme - Introduced 1966 - Named "Contender"
Overseas National Airways-ONA (1st) McDonnell Douglas DC-8F-55 Jet Trader N852F (msn 45856) LAX (Ted J. Gibson - Bruce Drum Collection). Image: 921347. 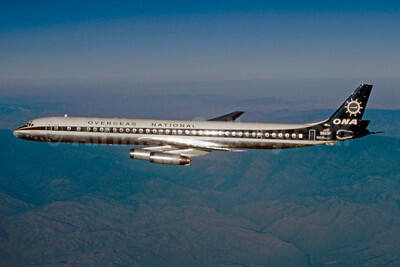 Overseas National Airways-ONA (1st) McDonnell Douglas DC-8F-55 Jet Trader N911R (msn 45817) CDG (Christian Volpati). Image: 921346. 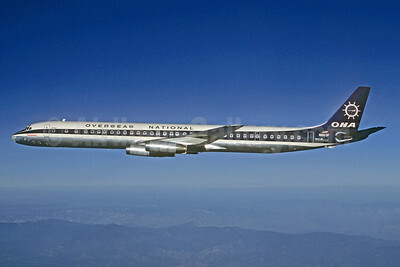 Overseas National Airways-ONA (1st) McDonnell Douglas DC-9-33CF N937F (msn 47409) MIA (Bruce Drum). Image: 103181. 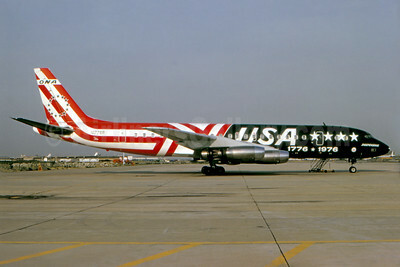 Best Seller - Named "HolidayLiner Enterprise"
Overseas National Airways-ONA (1st) McDonnell Douglas DC-10-30CF N1033F (msn 46960) CDG (Christian Volpati). Image: 904199.